Conditions of supervision may be the subject of a plea agreement. The state may recommend that the judge impose or not impose various conditions. If a defendant agrees to or fails to raise an objection to a particular condition of supervision, he may not later challenge the condition on direct appeal, even if it might be unlawful. By approving a plea bargain regarding a particular condition of supervision, a judge is not precluded from imposing other conditions. If the plea agreement is silent regarding the imposition of additional conditions of supervision, the judge may impose any other reasonable ones without violating the plea agreement. The state may agree to recommend that the judge impose any reasonable condition of community supervision, regardless of whether the condition is expressly listed in the law. As a condition of community supervision, a judge may order a defendant to submit to confinement in a prison, state jail, or in his home under electronic monitoring. Such conditions may be the subject of a plea agreement. There are only three circumstances under which the state may recommend , as part of a plea bargain, a specific period of confinement in prison (within the range permitted by statue) as a condition of community supervision. Under two of these circumstances, a judge must impose a specified minimum period of confinement; under one of the circumstances, a judge may impose a period of confinement within a specified range. First, if a defendant is convicted of intoxication manslaughter and placed on post conviction community supervision, the state may recommend that the defendant serve any period not less than 120 days in prison as a condition of supervision. The state may not recommend against imposing any confinement, because the statue requires the judge to impose a minimum of 120 days as a confinement. Second, if the defendant is convicted of a felony other than murder in which there is an affirmative finding he intentionally selected the victim baed primarily on bias or prejudice against a group, the set may recommend confinement in prison not less than once day or more than one year. The state may not recommend against imposing any confinement, because the statute requires the judge to impose some period of confinement in prison. Third, if a defendant is convicted of a second degree felony or higher in which there is an affirmative finding and then placed on community supervision, the state may recommend he serve 60-12o days in prison as a condition of supervision. 90-365 days in sate jail if a defendant is convicted of delivery of a controlled substance (penalty group 1, 1A, or 2) or marijuana. State jail felony: up to 30 days if no prior felony conviction; or up to 60 days if prior felony conviction. Driving While Intoxicated (second offense): 72 continuos hours; 5 days if prior DWI committed within 5 years of new offense. In general, the state may agree to recommend that, as a condition of supervision, the judge order a defendant to receive any treatment that may rehabilitate him. With certain exceptions, the state may also agree to recommend that the judge not require such treatment. The state may not agree to recommend mental health treatment, unless an expert finds the defendant’s mental illness is chronic in nature or likely to continue to deteriorate and the judge finds that treatment is available. For any offense other than a Class C misdemeanor, the state may agree to recommend that a judge order a defendant to work, within the range of hours specified by law, without compensation at a community service project as a condition of community supervision. The judge may not order such work on a community service project as a condition of community supervision if the defendant has a physical or mental disability, would face undue hardship, is being placed in a substance abuse facility or other good cause. The state also may not specify a particular project as part of the plea bargain, unless the project has been previously approved by the judge and designated by the community supervision and corrections department. A financial payment as a condition of community supervision may be the subject of a plea bargain only if a law expressly authorizes a judge to order the payment. Unlike other conditions of supervision that may be imposed under a more generalized statuary authority, a judge ma not impose a condition requiring financial payment unless it ifs for payment of a fine, court costs, restitution to the victim, and other conditions related personally to the rehabilitation of the defendant or otherwise expressly authorized by law. Within these categories, the state may agree not to recommend that a judge order or not order a financial payment as a condition of community supervision. In addition, the state may agree to recommend the payment be made in a lump sum by a date certain or in multiple payments on scheduled court dates throughout the period of supervision. A fine and restitution are tow payments most often the subject of negotiation. For deferred adjudication, the state may recommend any fine within the permissible range for the offense. For post conviction supervision, the state may recommend any fine within the permissible range for the offense and whether the fine should be imposed or probated. The state may recommend the defendant pay the victim for personal and property damages. The amount of restitution is not limited by the property value range contained in the indictment or any separate civil settlement; is may include any amount supported by the evidence. Such evidence may come from expert testimony, the victim, any person with personal knowledge, or information contained in a PSI. The order requiring payment of this restitution must clearly set out the amounts to be paid. If the victim has died, the court may over that restitution to be paid to the victim’s estate. Through a plea bargain, the state may extend payment of restitution beyond the person named as a victim in the indictment or information. If the state recommends no restitution or only partial restitution, the judge must state in open court and in the present of ac court reporter the reasons for following that recommendation. The state may agree to recommend that the judge order restrictions on the defendant’s travel and residency as conditions of community s supervision. Such a plea bargain may not extend to banishment from the state, but may restrict the defendant’s ability to reside in or travel to certain specified places that would interfere with the defendant’s rehabilitation or threaten the safety of a community or victim. A defendant may apply to a probation officer for a change in residence within the state, subject to the approval of the judge. However, a prosecutor may condition a recommendation for community supervision upon the defendant maintaining residence in a particular location, including within the state to avoid a transfer outside of the state. The state may agree to recommend that the judge order the defendant to have no contact with a victim or other specified persons or avoid particular places. To be enforceable, such a condition should specify no contact of any kind or specify the limitations on the type of contact and the distances a defendant must maintain from the person. The state may agree to recommend that the judge order the defendant to submit to a search of his person, residence, or vehicle without a search warrant to establish compliance with the conditions of supervision. 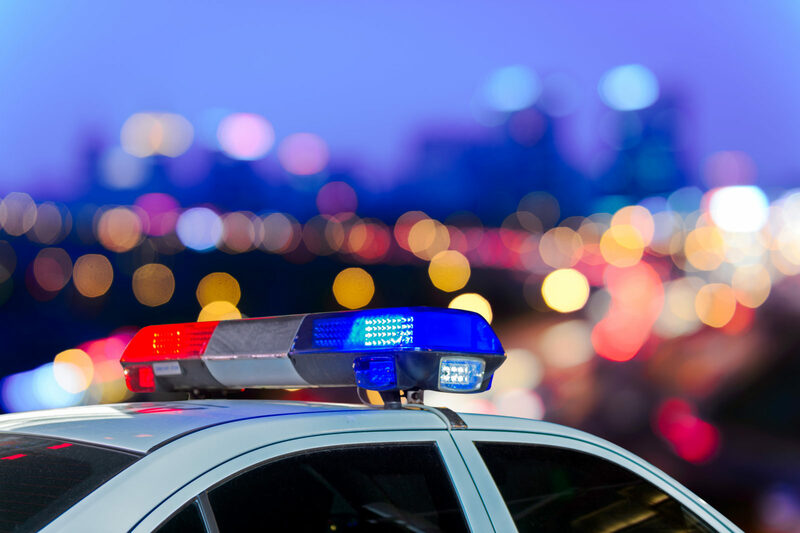 To be enforceable when the search is conducted by law enforcement, rather than a probation officer, such a condition should require the presence of at least reasonable suspicion. The state may agree to recommend counseling for the elimination of violent behavior. For an offense involving family violence,the judge must require the defendant begin the counseling not later than the 60th day after the supervision begins. The state may agree to recommend that, with certain exceptions, a defendant participate in counseling for substance abuse. Further, the agreement can specify a particular facility under impatient or outpatient status. Inpatient facilities can include a community corrections facility or a substance abuse felony facility. If a defendant is convicted of an intoxication offense, a judge must order him to submit to an evaluation and, if necessary, a treatment program for the defendant’s drug or alcohol dependance. In addition, a judge must order a defendant convicted of an intoxication offense to attend an educational program designed to rehabilitate individuals who have driven while intoxicated.